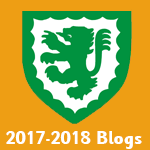 Celebration Blog – Celebration of school events. We were very lucky in our assembly this morning to have a visit from Reverend Such! We thought carefully about Spring time and Easter and why this is such a special time of year. 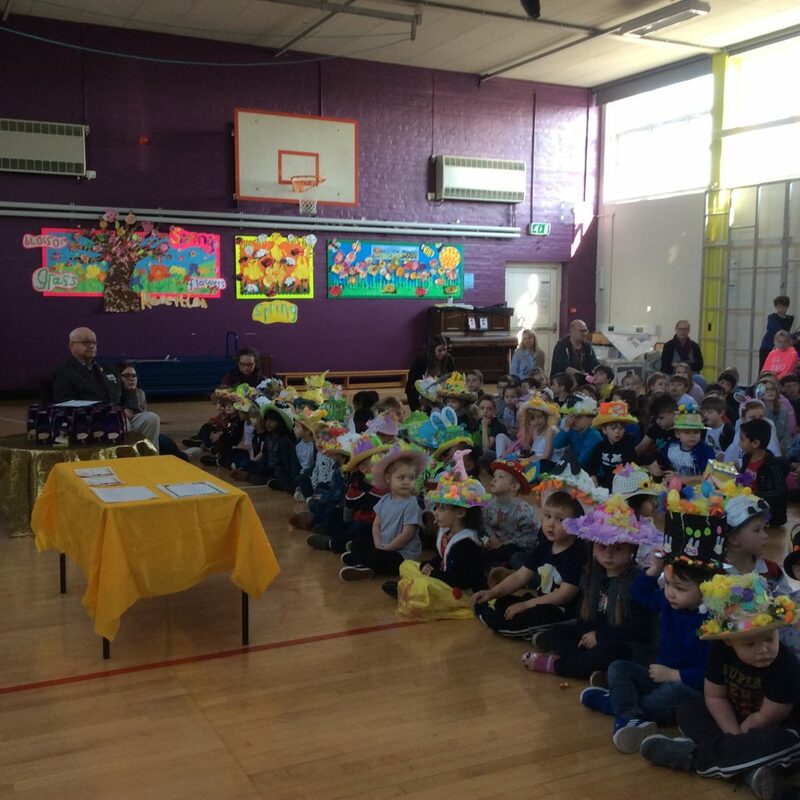 Mr Shorto, (our now retired lollipop man of many years) was on hand to judge and present prizes for our Easter competitions. Early Years and Key Stage One made beautiful bonnets and Key Stage Two decorated eggs. 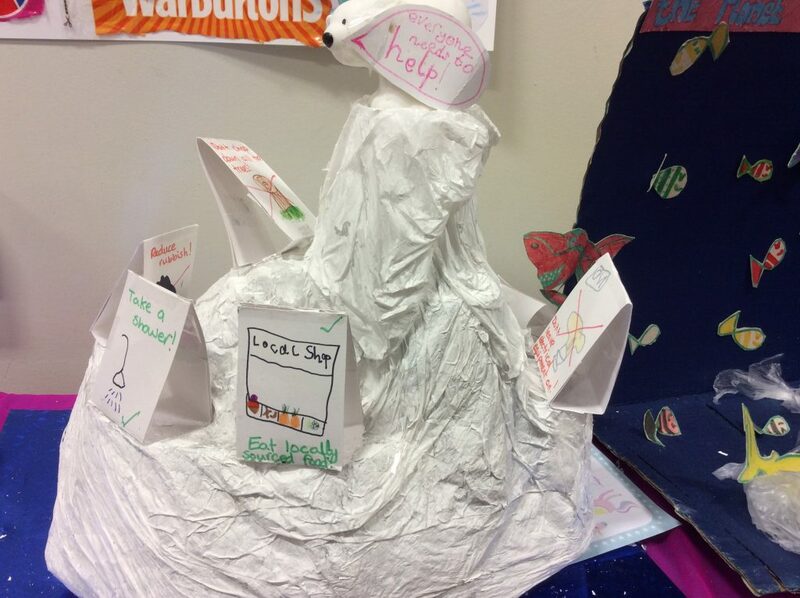 We were very impressed with the effort and creativity of all who entered; well done everyone! 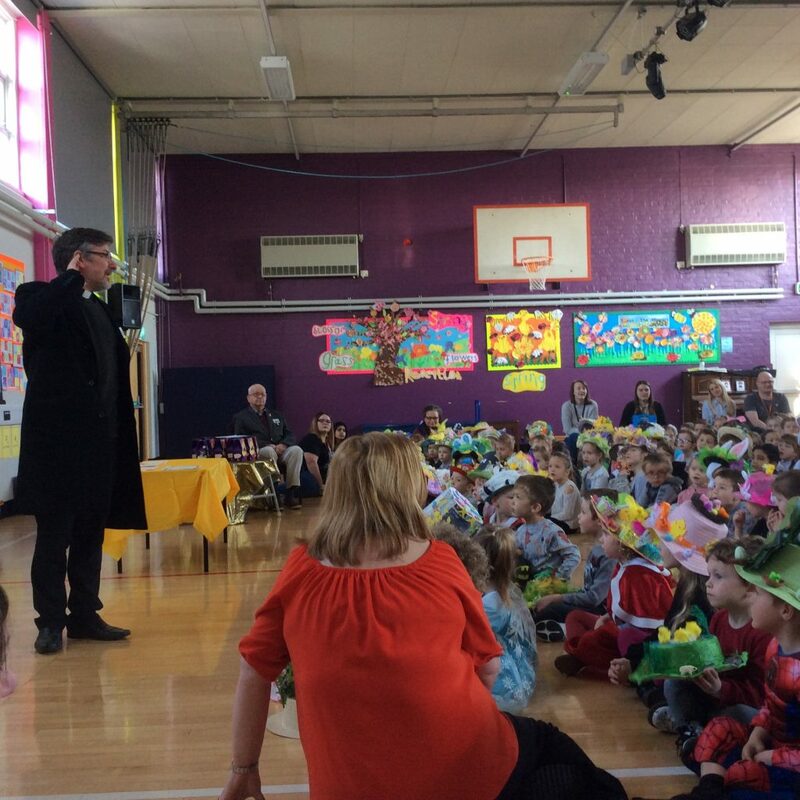 We ended our assembly with our favourite Easter song; ‘Spring Chicken’. On behalf of all of the staff we would like to wish you a very Happy Easter!! 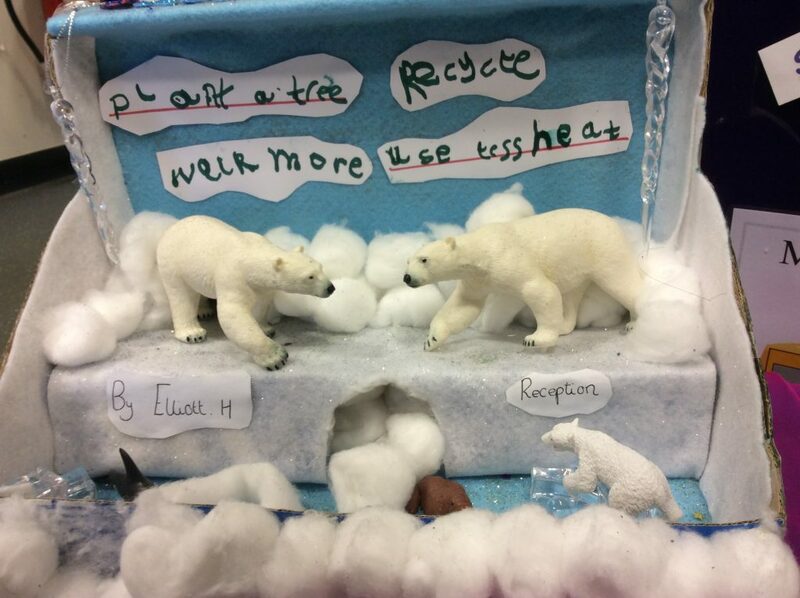 We have been extremely impressed with the response to our recent enrichment homework question; ‘How can we stop the ice melting?’ We have been inundated with power point presentations, films, models and posters giving excellent advice and information as to how we can all help. On Thursday 28th March, we were fortunate enough to meet Professor Gatrad, Consultant Paediatrician at Walsall Manor Hospital. He wasn’t here to talk about keeping children healthy though…. Professor Gatrad founded WASUP – Walsall Against Single Use Plastics. This initiative aims to raise awareness of the problem of single use plastics and how we can all help to combat it. 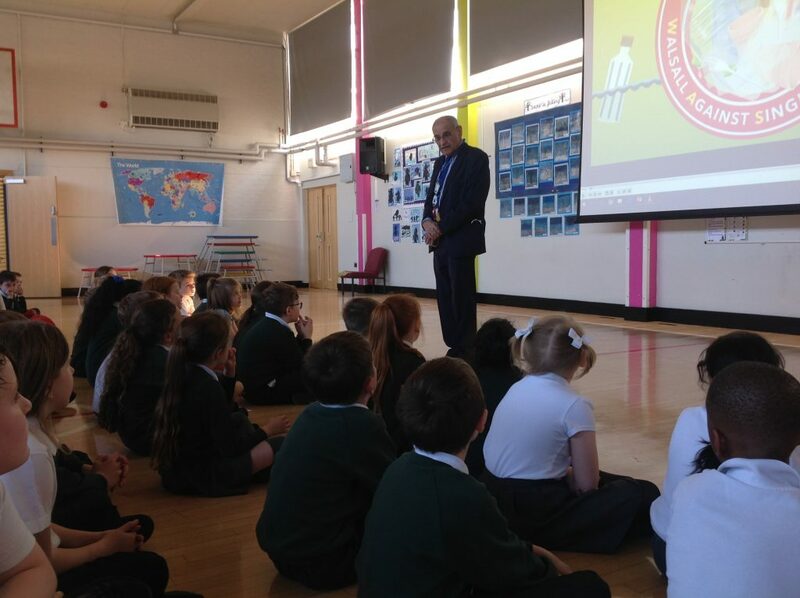 He has already visited many Walsall schools and is hoping to visit them all by the time this school year draws to an end. 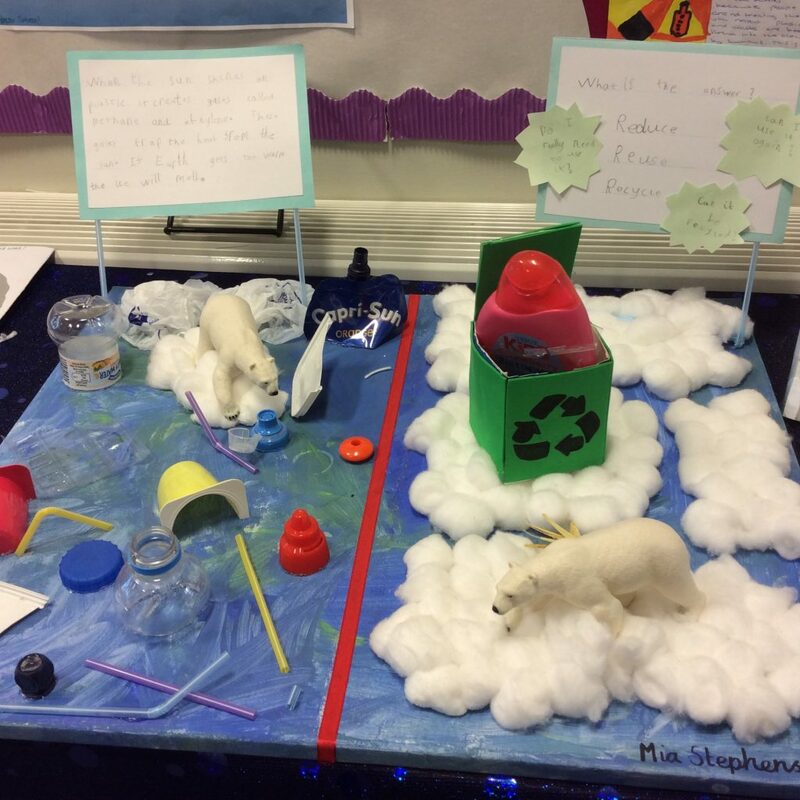 Professor Gatrad shared with us images showing why Single Use Plastics are a huge problem. Not only do they make our environment look unsightly but wild animals are suffering terribly as well as humans. Fish are now being found with small pieces of plastic in their stomachs and humans are eating those fish. 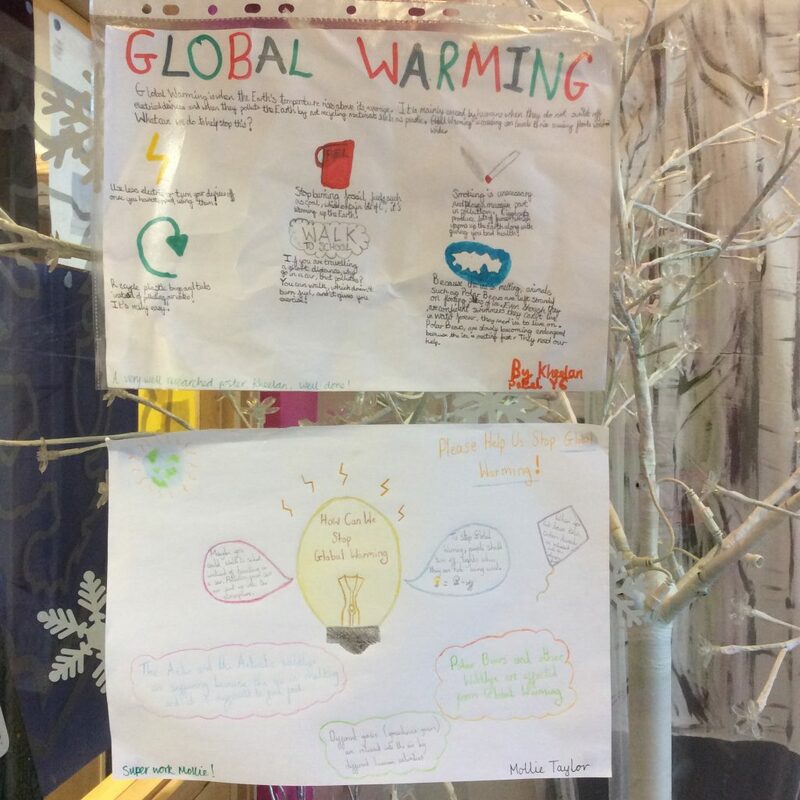 This is not good and Professor Gatrad is asking all Walsall school children to think about how they and their families can reduce their use of single use plastics. •When recycling, wash all packaging that you put in the recycling bin; dirty packaging contaminates the waste and it cannot be recycled meaning it ends up in landfill! Professor Gatrad showed us the WASUP salute which was really simple and a great way to show that we are all thinking about reducing our use of single use plastics. There is also a song coming out very soon that has been written and composed by three Walsall schools. We’re looking forward to learning it! What’s happening at Rushall? Our kitchen staff have already replaced the single use plastic cups used for our yoghurts and puddings with pretty reusable plastic bowls and we have been using proper cutlery and crockery for a while now too. We will hopefully be getting rid of our sauce sachets soon in favour of bigger pump action bottles that would be refilled less often hence creating less waste. 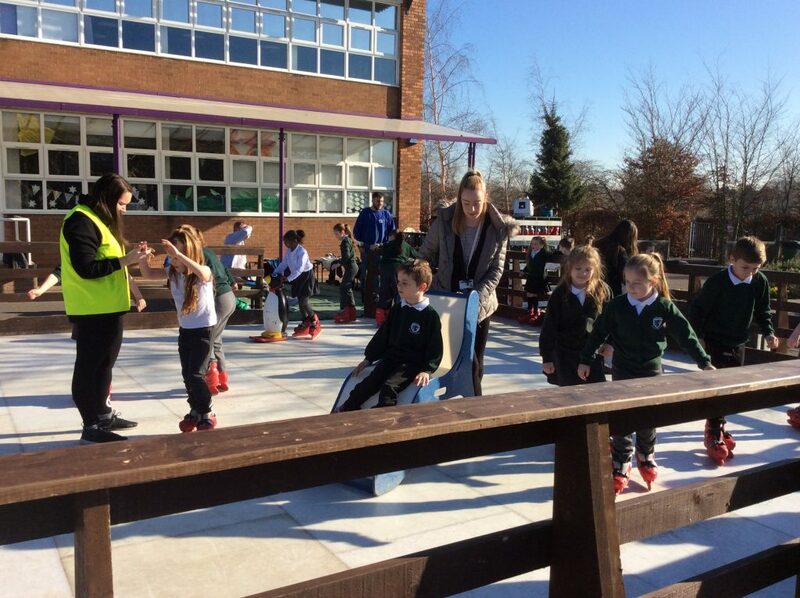 In the near future, the children of Rushall will be getting involved with local canal and street cleans, working alongside other schools as well as people from Home Serve, McDonalds, Tesco, the Scouts and the Canal and Rivers Trust. We are passionate about helping our environment and doing everything we can to reduce our use of single use plastics. WASUP over and out! Autism Society Charity Walk Success! 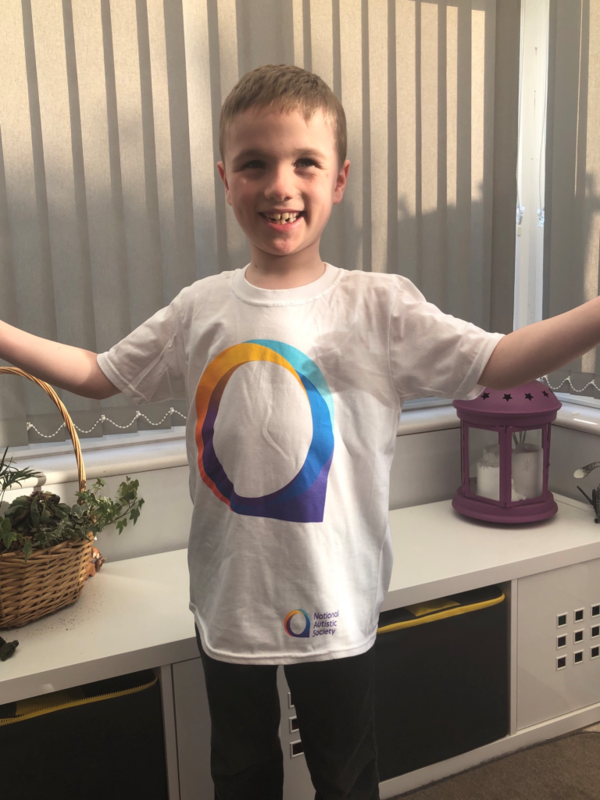 We are delighted to announce that on Saturday Elliot successfully completed his 7K walk to raise money for the Autism Society! The event was held as part of autism awareness week. 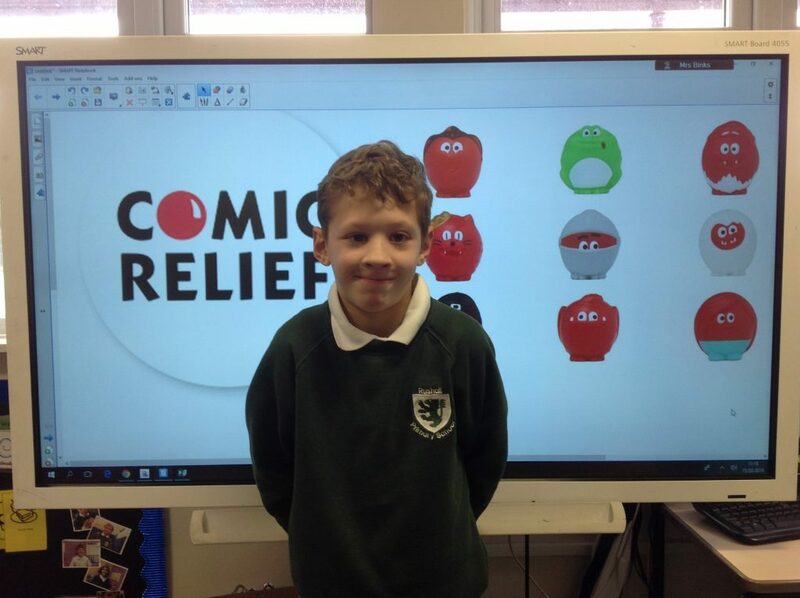 This is an amazing achievement Elliot, we are so proud of you! If you would like to add to Elliot’s fund donations can be made through the school office. We are extremely proud to announce that we have two more word millionaires this week! 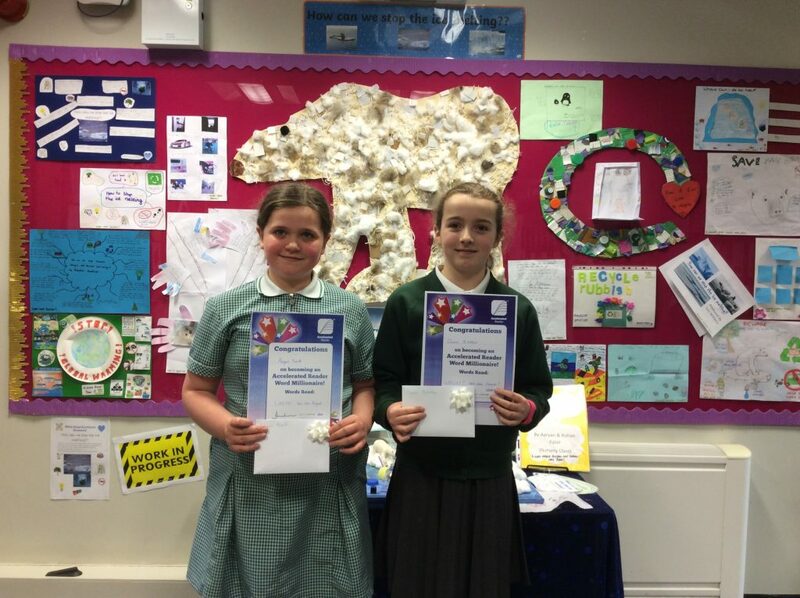 This is an amazing achievement Abigail and Eleanor, well done to both of you! Congratulations to Eleanor also for being our first ‘millionaire’ from year five! There was a very loud gasp in assembly at this news this morning, followed by a very well deserved round of applause! 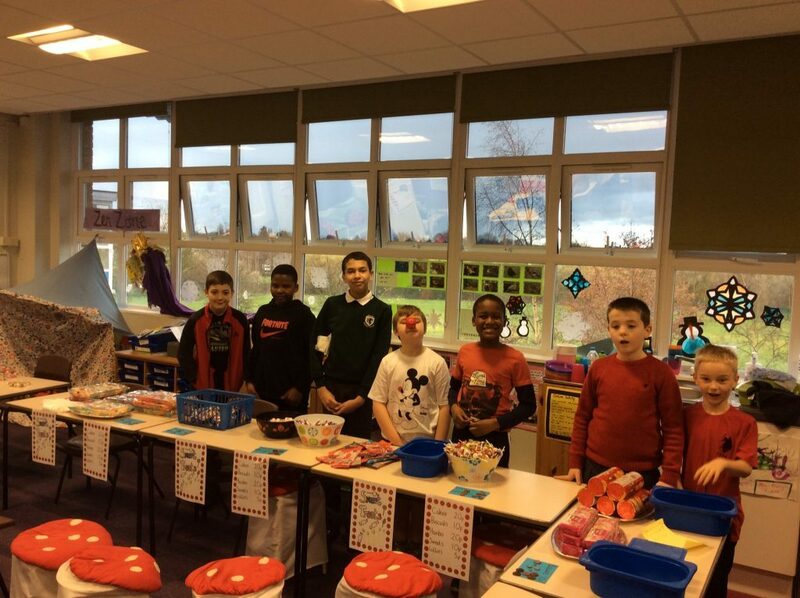 Thank you so much to our ARP children for organising a fantastic day of fundraising for us to help support comic relief. 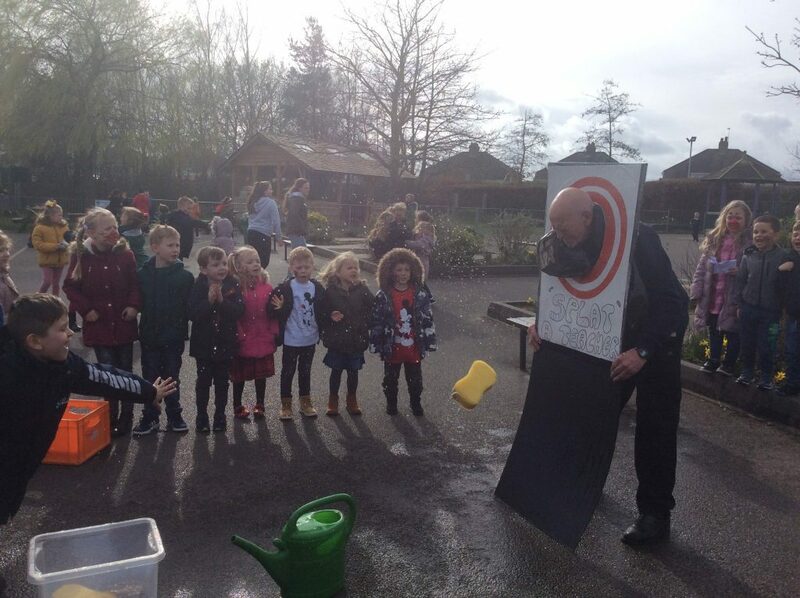 The children organised a sweet sale, sponge throwing, crazy golf, a penalty shoot out, face painting and many more activities to raise money for children less fortunate than themselves. 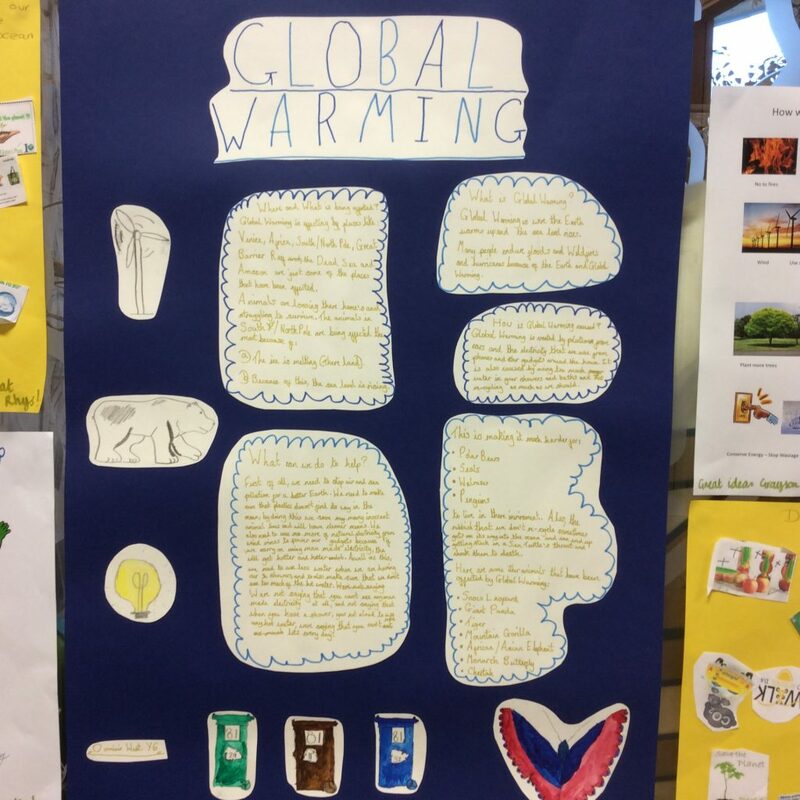 Through this the children learned a great deal; not only about the good causes that the money will support, but about how good planning, organisation and teamwork can make a difference. 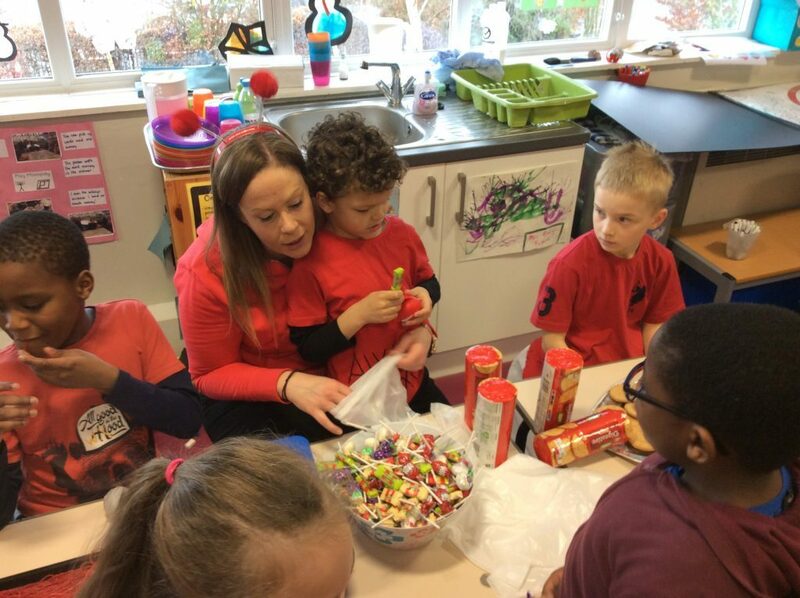 The children are now very busy counting the money and we will announce the amount raised shortly. Well done everyone!!! Fantastic news, we have three more word millionaires in our midst!! 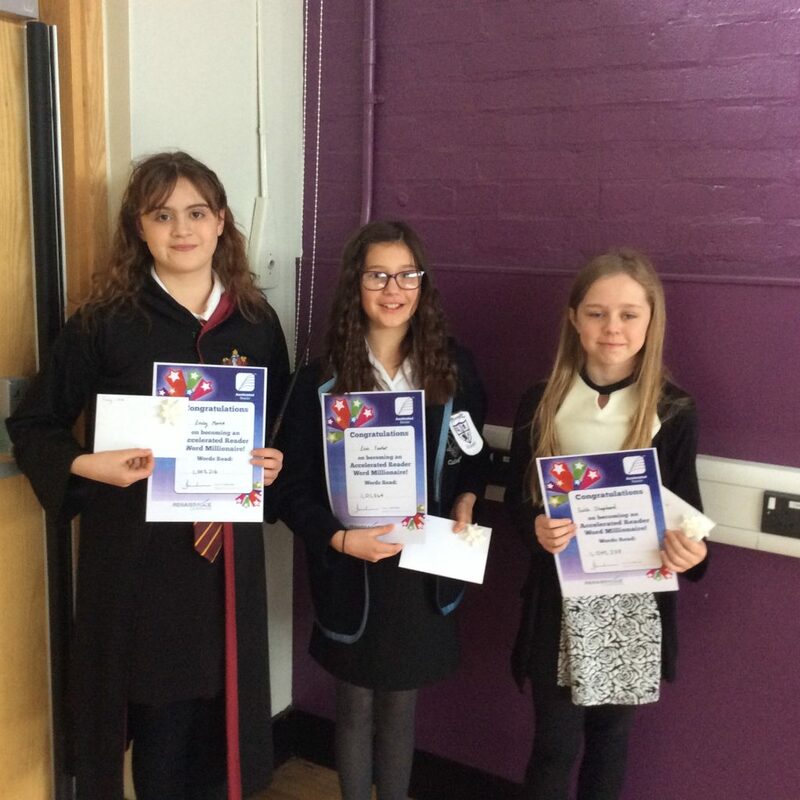 A huge congratulations to Emily, Erin and Faith for this wonderful achievement!! We are very proud of you all, not only for your enthusiasm for reading but your hard work, dedication and superb attitude to learning. Well done!! 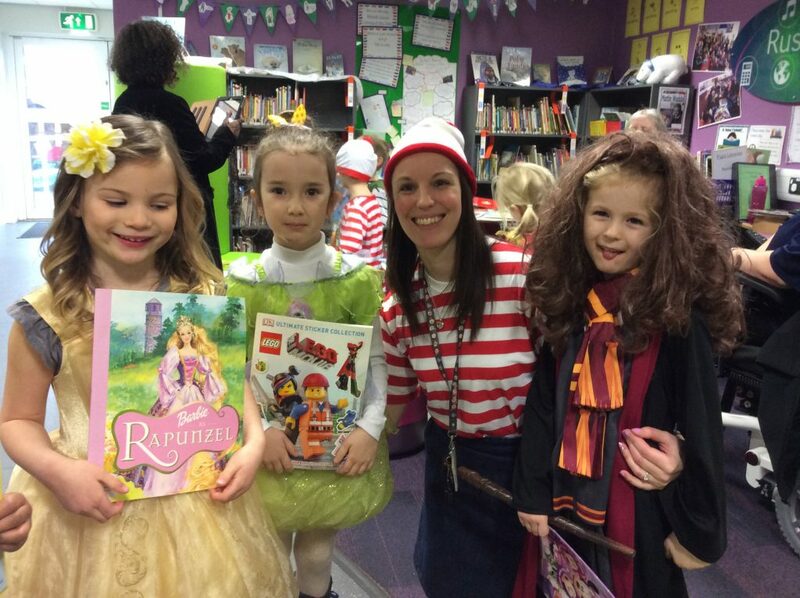 To further enhance our love of reading, today we came to school dressed as our favourite book characters and brought in our favourite books. Through this we have discussed our favourite authors and story characters. 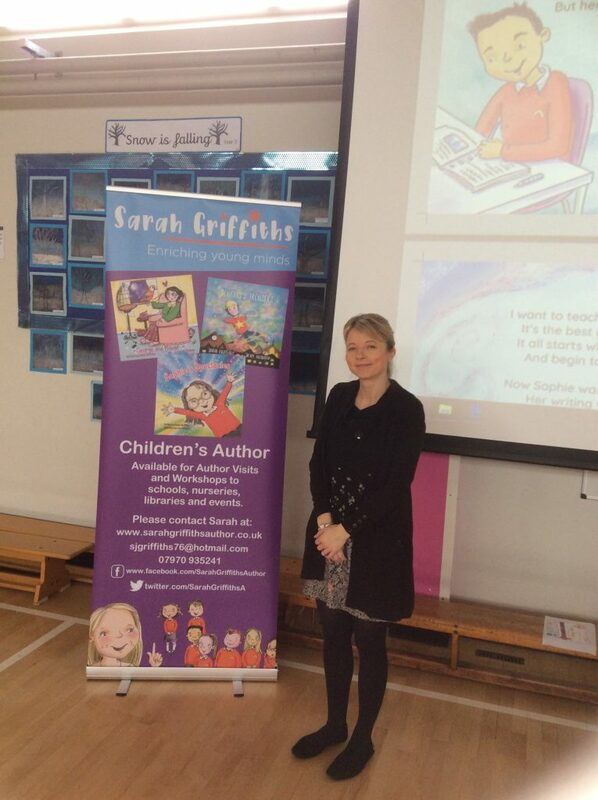 We invited Sarah Griffiths, a children’s author in to school to read some of her stories to us and to explain how she became an author. She told us how she has wanted to be an author since she was little and was inspired by her Head Teacher who gave her gold stars for her writing! We know that we have many budding authors within our school who listened intently to Sarah’s story. 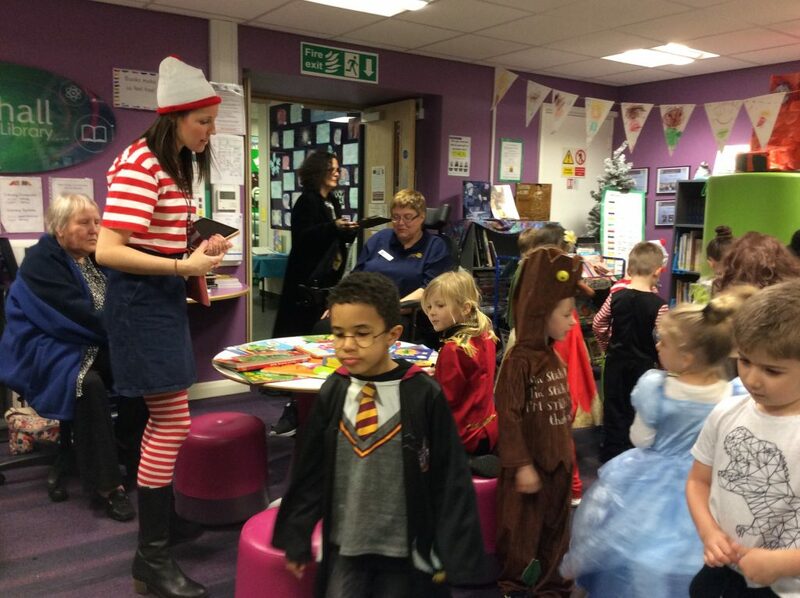 We also received a visit from the Rotary Club who very kindly donated lots of books to the school. We are very grateful for this fantastic opportunity and look forward to working with the Rotary Club more in the future. We love reading with our buddy class partners! 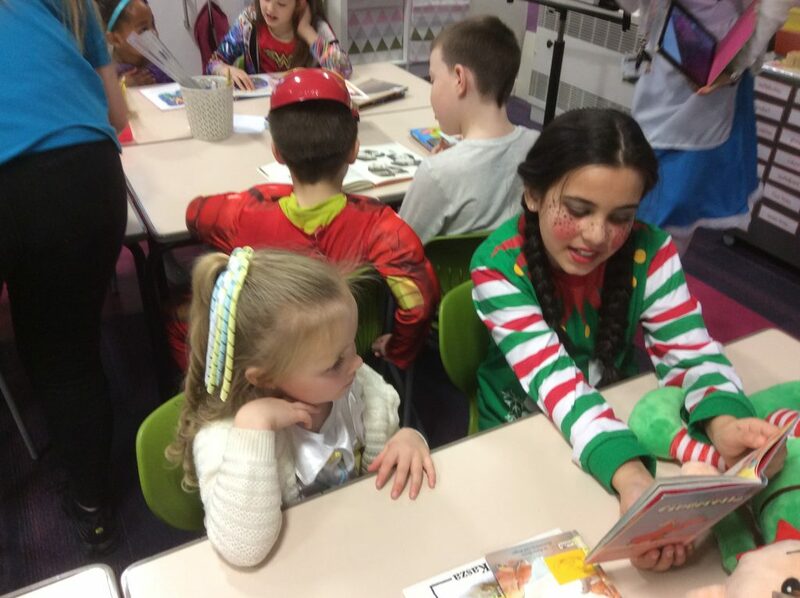 Our older pupils play a great role in inspiring a love of reading to our younger pupils. 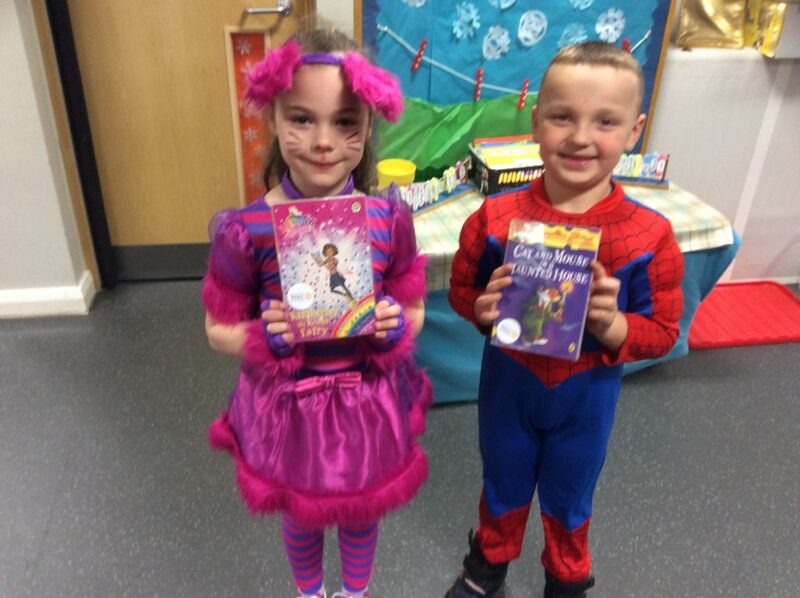 We are very proud of their maturity and enthusiasm in helping to foster a love of reading throughout the school. 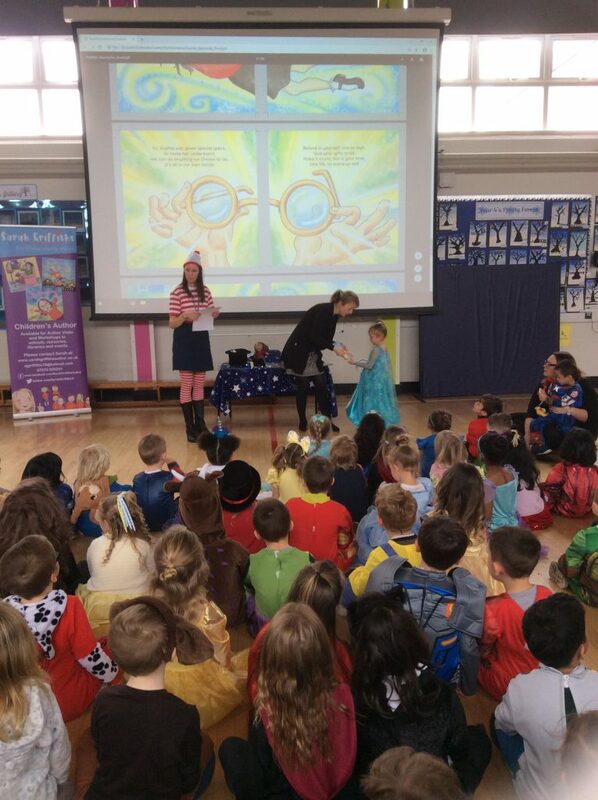 We would like to thank all of our parents and carers for their fantastic support in providing wonderful costumes and supporting us in making this a memorable experience for the children. 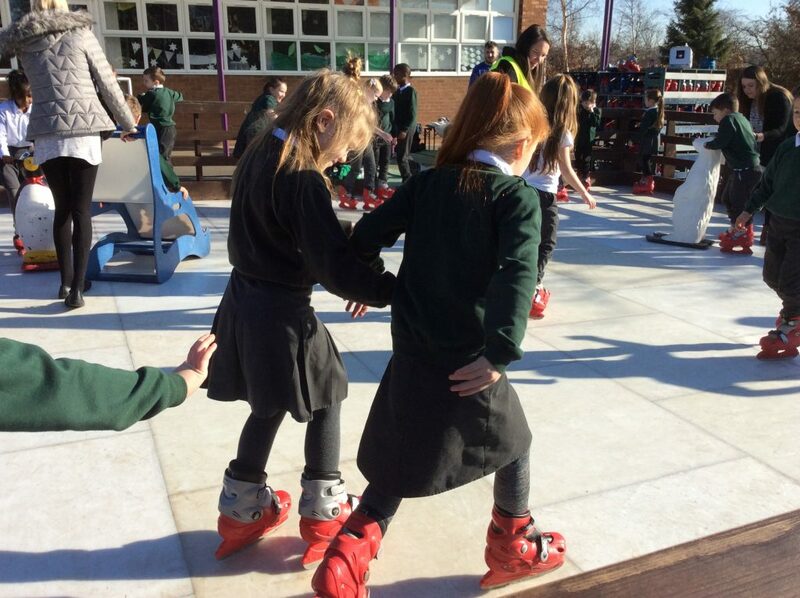 This morning an ice rink has appeared on our playground! 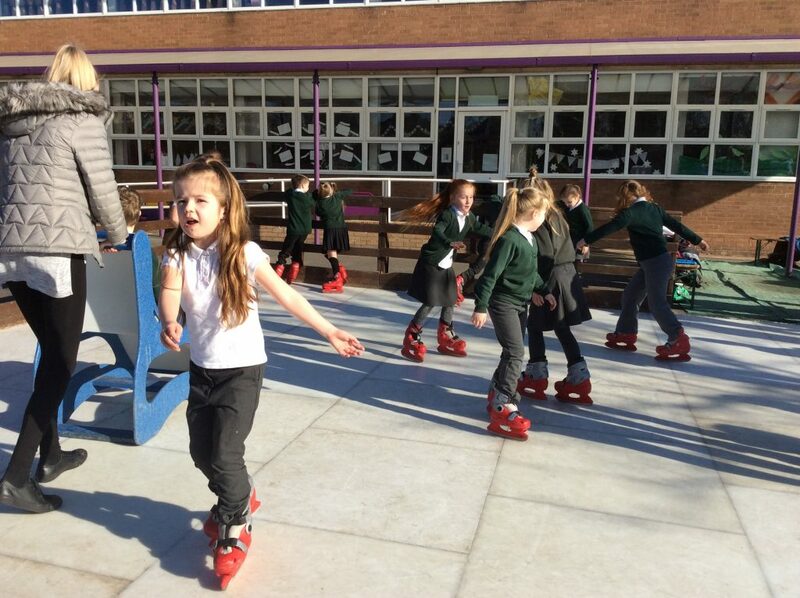 We are having lots of fun practising our skating skills!! 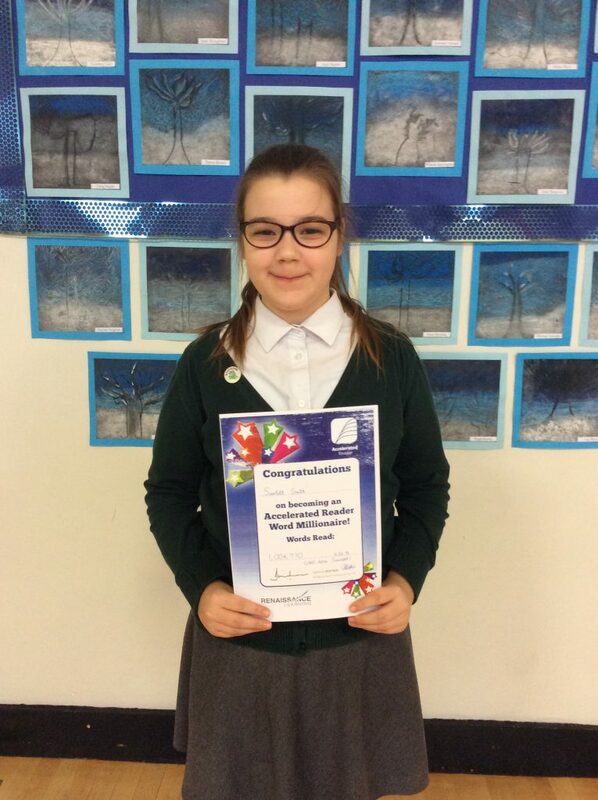 We are delighted to announce that we have another Accelerated Reader word millionaire in our midst!! This is amazing!! Congratulations Scarlett, what a fantastic achievement! 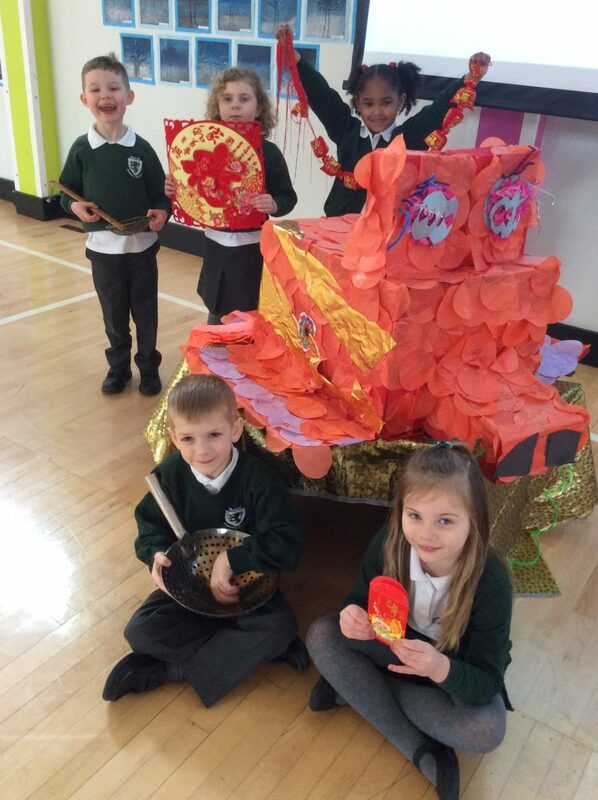 Let’s see how many more millionaires we can create at Rushall……..
Our Reception children were very proud to show their fabulous Chinese dragon in assembly today! The children helped to act out the Chinese New Year story and found out all about how it is celebrated. We wish all those who celebrate it a very Happy Chinese New Year! 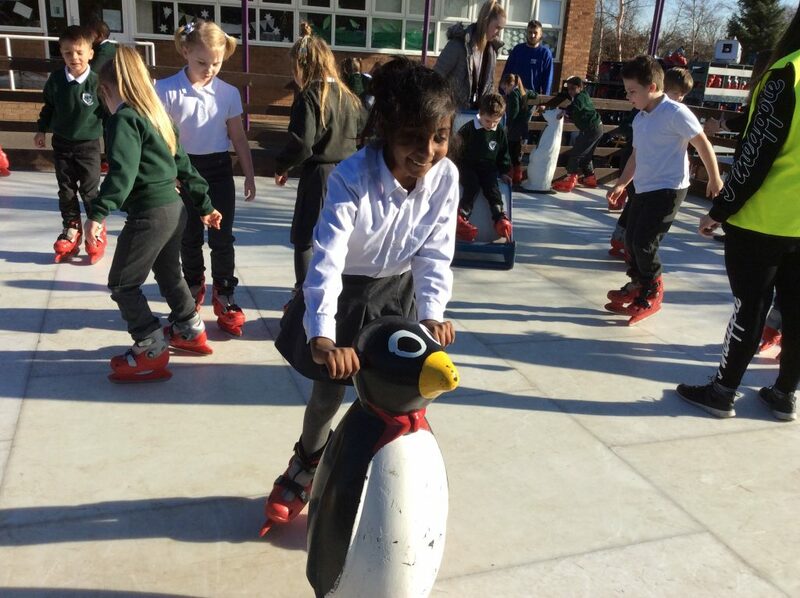 Mr Stephens on Skating in the Sunshine! 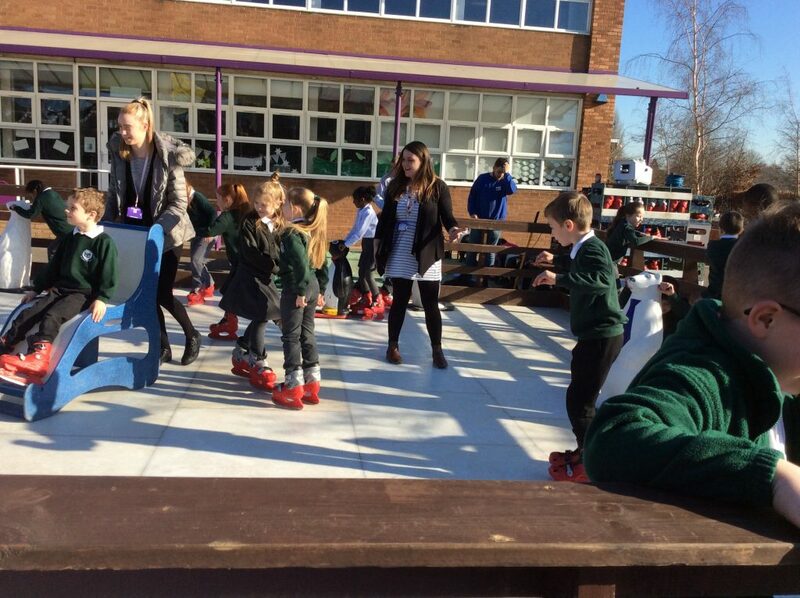 Kerry on Skating in the Sunshine! Emma Johnson on The Snow Queen!! Mr Stephens on Millionaire Number 6! Kerry on Millionaire Number 6!